The interior is completely renovated. Click on the photo for a larger version. Scorpio has continuously been taken very good care of, and recently we finished a major two-year renovation project. We believe that the yacht is better than new, and the conclusion of a recent survey is: the condition of this yacht is exceptional. Scorpio was built in 1979, at a time when the accountants' desire to cut production costs had not yet reached the floors of the yacht building industry. They simply don't build this kind of boats anymore. If you would like to aquire a quality classic Swan constructed by Sparkman & Stephens at an affordable price, here is your chance. A recent survey, including a rig survey is available. The surveyors were present during the whole 2-year renovation project. 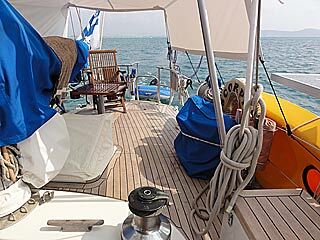 As a bonus for the buyer, the sale includes all equipment aboard, except some personal items, and the yacht is ready for any kind of voyage to commence on the day of purchase. 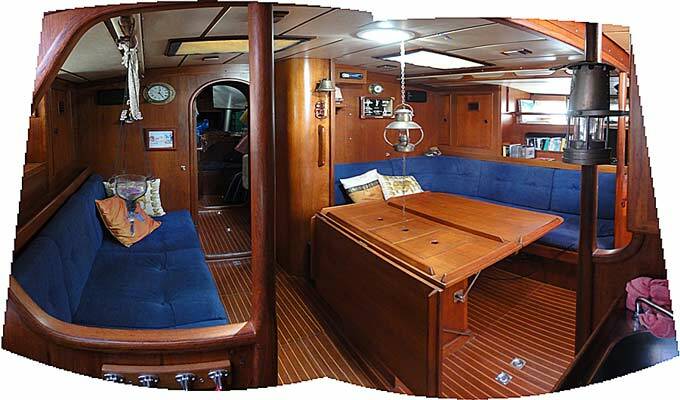 On the following pages we will show some photos of the yacht and some examples of how it has been renovated recently. Please follow the link at the bottom of this page, or click HERE. 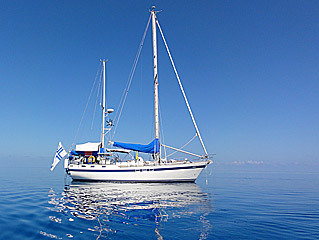 For a COMPLETE OVERVIEW of the yacht and its equipment, please follow the YACHT-link above or click HERE. * - These photos can be viewed (and downloaded) also as a (printable) pdf-document (3MB). * VIEW some usually hidden spots aboard - under floorboards an in lockers. Presentation of some of the recent renovation details on Scorpio.